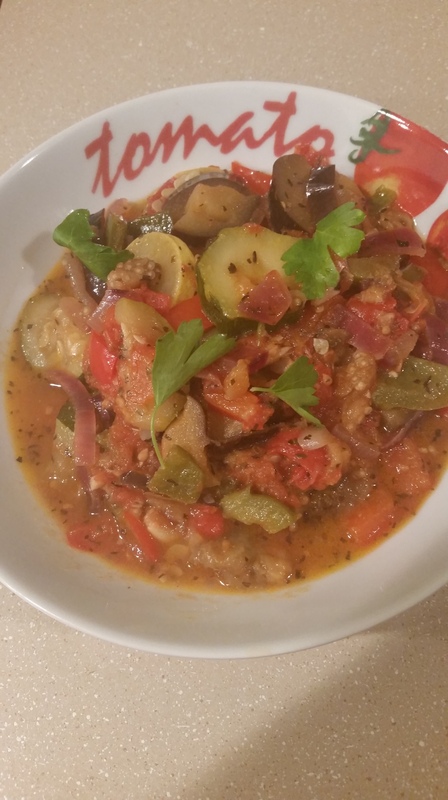 Ratatouille is a vegetable dish from the Provence region of France. I came across the recipe while watching Youtube and decided to try it out. 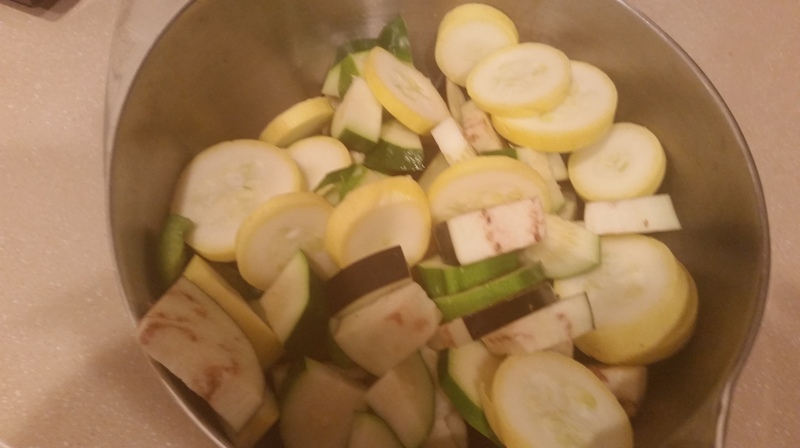 There were so many different recipes for Ratatouille that I decided to take pieces from my favorites and come up with my own unique dish. 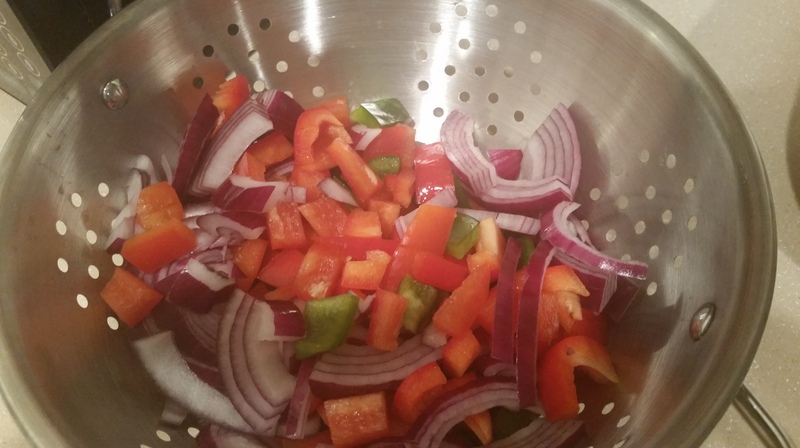 You need the following: red or yellow onion, fresh garlic, tomatoes, red and green peppers, eggplant, squash–green and yellow. Now here is where you can be a creative cook. 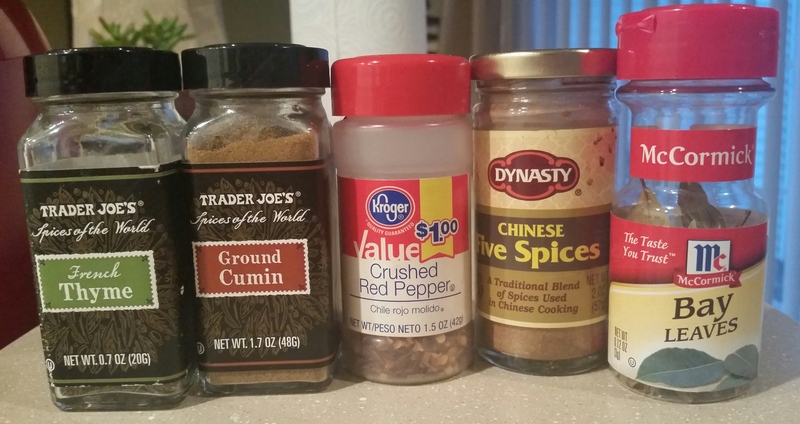 You can use whatever spices you like. 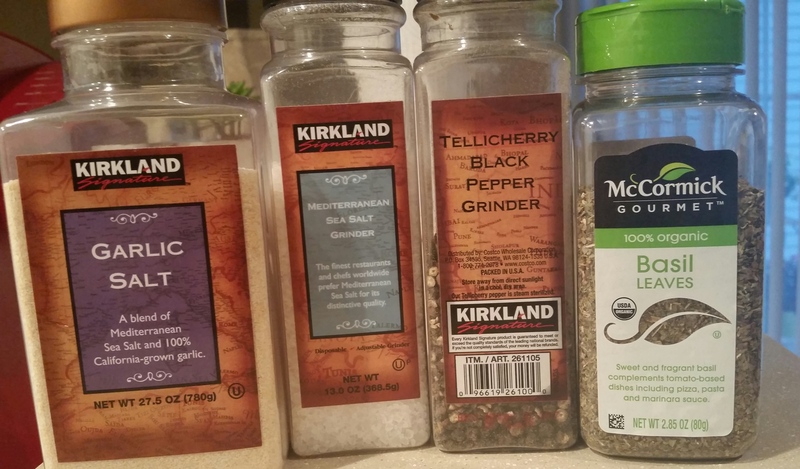 I would suggest starting with sea salt, black pepper, crushed red pepper flakes, and bay leaves. I also added a dab of Chinese Five Spices, thyme, cumin, garlic salt and basil leaves. Next, slice and dice your veggies. 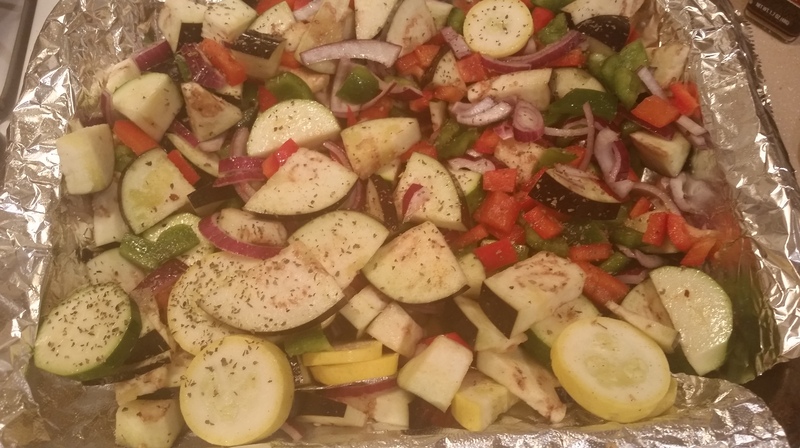 Put your veggies on a foil lined baking sheet and toss them in extra virgin olive oil and add your seasonings. Put the veggies in the oven at 350 degrees and let them roast for about twenty minutes or until they look done. 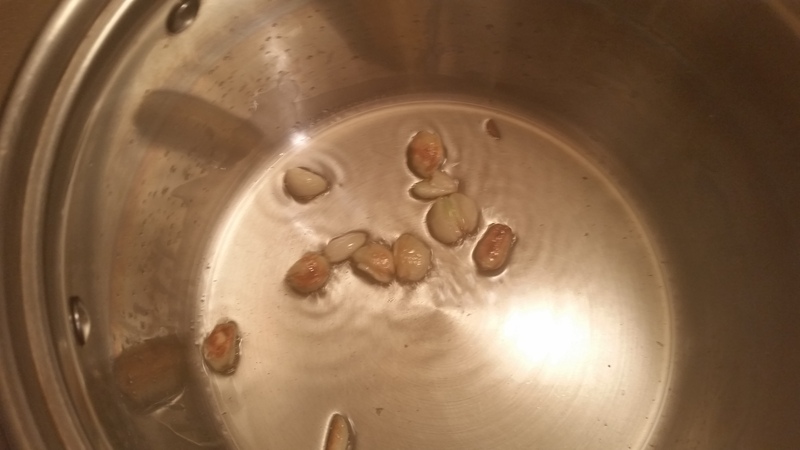 While that’s going, prepare your whole cloves and put them in olive oil to cook. They will have a nice sweet flavor when done. 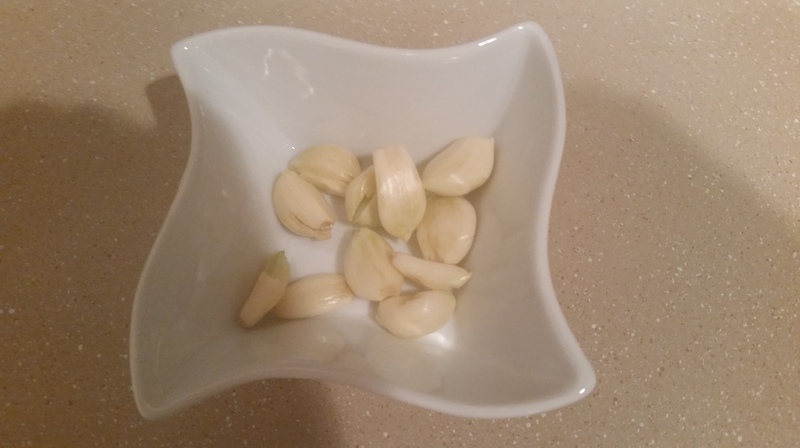 Next time I plan to use double the amount of garlic. 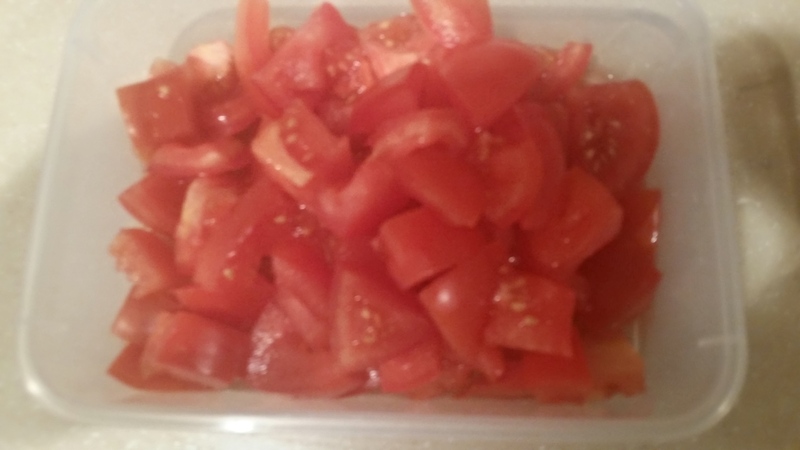 Once the garlic is done, add your tomatoes. Sorry, I didn’t get a picture of them in the pot. I took my vegetables out of the oven when they looked like this. 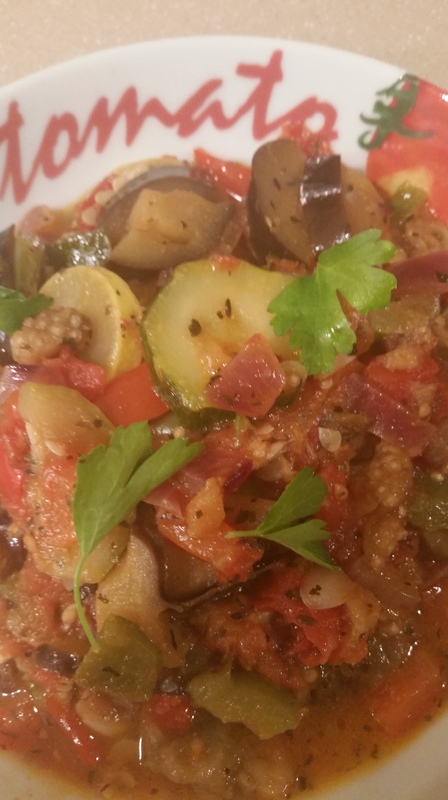 Most Ratatouille recipes are done in one pot and have a soft texture. By roasting the veggies first, there’s more texture to the dish and it’s not as wet and mushy. The last step is to mix the cooked tomatoes and garlic with the roasted veggies, and toss some cilantro on top. Here is the result. 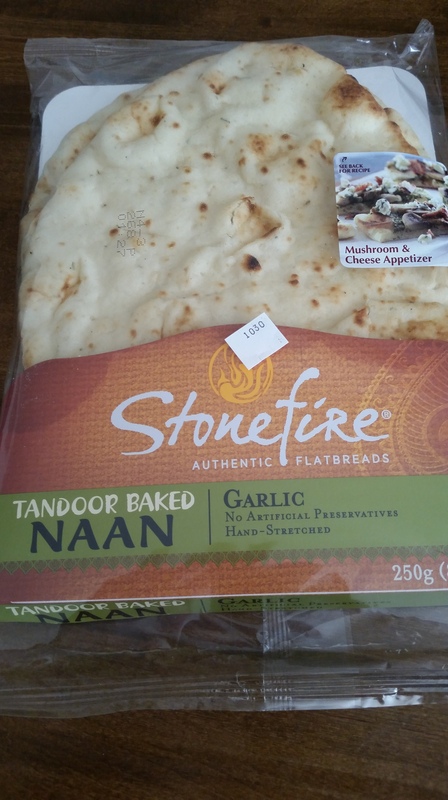 I eat it with a garlic flavored flat bread. 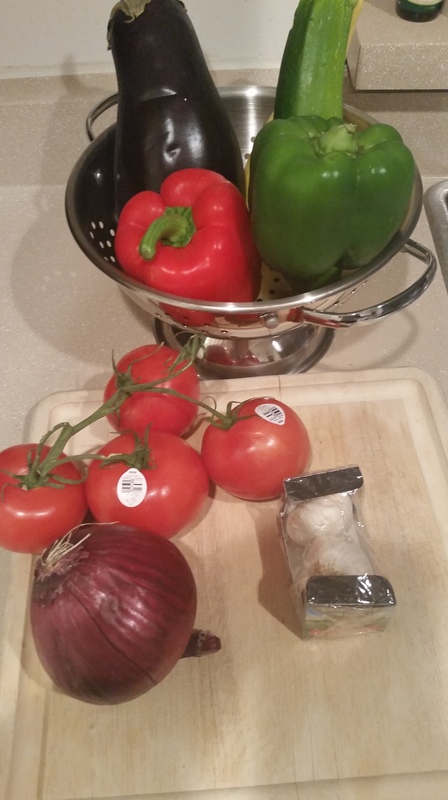 I heat it up and add a little butter and dunk it in the Ratatouille. So darn good. 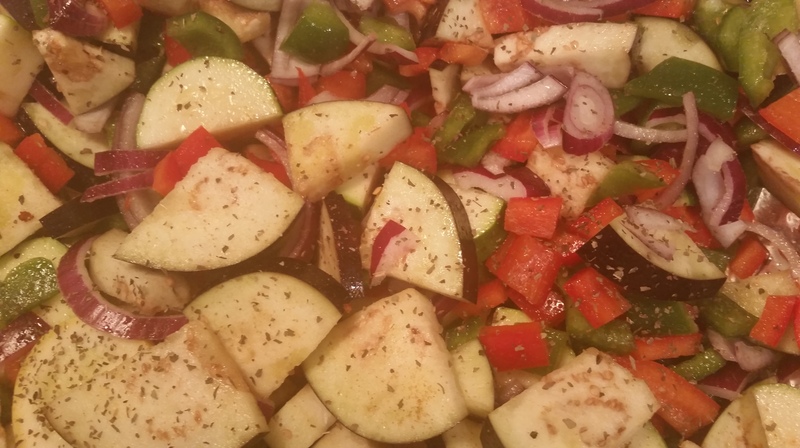 Ratatouille can also be a side dish for roasted chicken, pork loin, or anything you want. The fresh tomatoes give the Ratatouille that extra spark that takes the taste over the top. I absolutely love it. 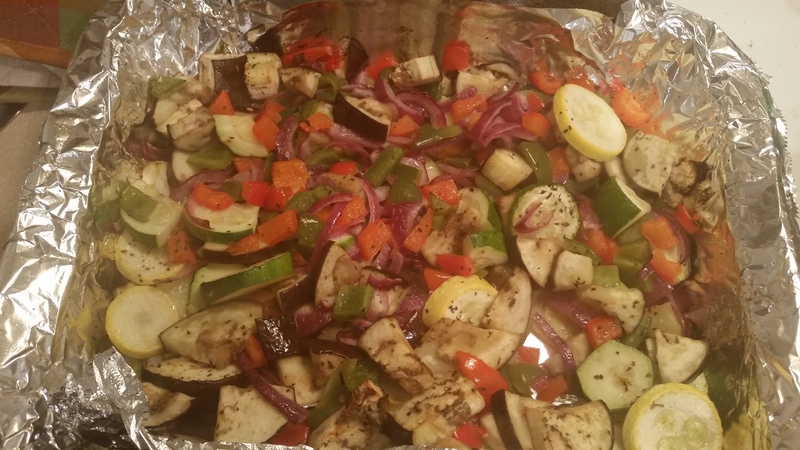 If you have a Ratatouille recipe or try mine, let me know.